Dr. Vidya Varathan is an accredited dentist licensed by the Royal College of Dental Surgeons of Canada. She actively peruses her desire to educate the next generation of dentists by joining the University of Toronto. She established her clinic at the intersection of Markham and McNicoll where she works as the primary dentist along with other specialists and hygienists. Dr. Vidya Varathan is also a graduate of the University of Osaka, where she holds a PhD in Dental Sciences. Her PhD focuses on the pain management in the provision of dental care. She has published in several prestigious journals including The Journal of Neuroscience Research and The International Journal of Pediatric Dentistry. In her passion to develop her communication skills she obtained a diploma in counselling. In the past, she has also worked as a researcher with Prof. Barry J. Sessle at the University of Toronto where she furthered her academic interests. 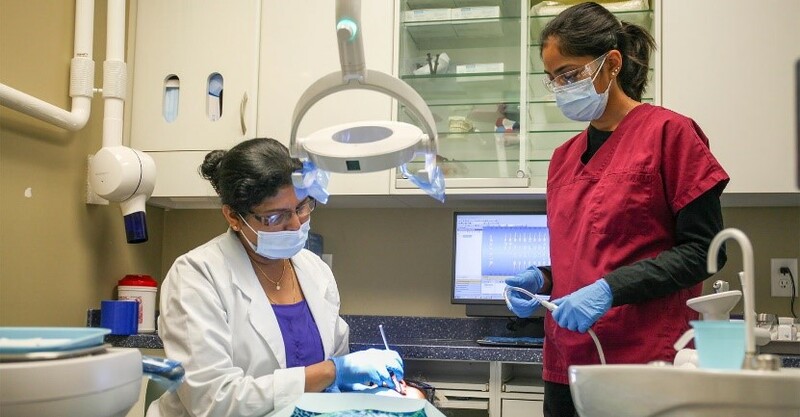 Dr. Vidya Varathan’s Dental Care clinic is patient focused and holds patient satisfaction as their primary goal. They have specialists who work in the field of Complex Dental Surgery and Endodontics. 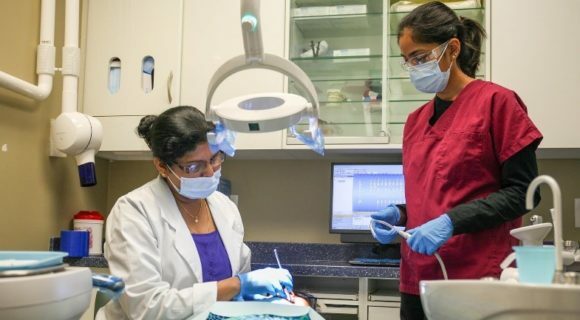 Dr. Vidya Varathan (BDS, PhD) is a licensed general dentist, and offers several dental procedures including Implants, Orthodontics (Braces) and Wisdom Tooth Removal. Their staff are friendly, well trained and always ready to assist you as necessary. Dr. Vidya Varathan’s dental clinic also emphasize the importance of preventative dentistry in order to maintain good dental hygiene. This entry was posted on Friday, February 22nd, 2019 at 7:38 pm	and is filed under Uncategorized. You can follow any responses to this entry through the RSS 2.0 feed. You can leave a response, or trackback from your own site.